I have such fond memories of back-to-school shopping! Not only did I love the fresh notebooks, ballpoint pins, and rainbow highlighters, but I looked forward to new jeans, shoes and jackets that came with every school year. Now that I've reached the point of not really growing out of any clothes (mostly-ha!) and my office supplies are provided by work, it is still a tradition that should be enjoyed! Fall is probably my favorite season to dress for and it always seems like a perfect time to refresh some staples that you end up adding into your wardrobe rotation for most the year. I started making a list of *must buys* for the upcoming fall season and wanted to share because there are some GREAT sales going on! Click on the pictures to go straight to the store! Black Leather Jacket - on sale for under $70! Lauren Ralph Lauren Quilted Jacket - on sale for under $100! Madewell Stay Black Skinny Jeans - won't fade! Buttoned Up Ankle Jeans- only $45! Ankle booties - under $100! 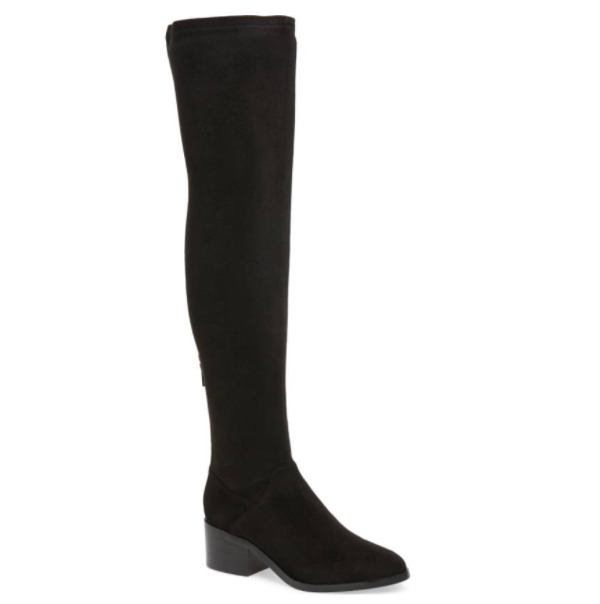 Over the knee boots- under $100! Side Tie Cashmere - on sale for $30 off! Bell Sleeve Cozy Fleece - love this shade of orchid! And under $40! Send me your links in the comments!